this photo speaks of the holiday season, but in fact everything here was gathered in fall. 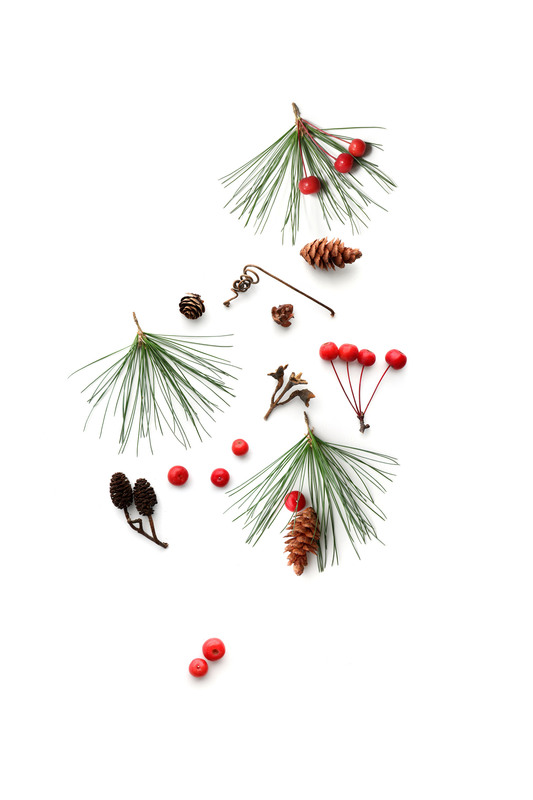 white pine, vine tendrils, alder catkins, pine cones, and not holly berries, but crabapples. merry solstice. or something like that. Very festive, indeed! Just saw the BHG spread. It was delightful, MJ. Jack made the pics, but got no verbiage! Dog lovers need to know, I think. Loved seeing more than STILL exposes. I know I’d get more on instagram, but I don’t do social media. Your blog makes my soul sing! !